Colorado Springs, Colo. – Sept. 1, 2017 – Colorado Springs and the Pikes Peak region had a record-setting tourism year in 2016. According to the annual visitor profile study from Longwoods International, a leader in tourism research since 1985, the region welcomed 23 million people, which is a 12 percent increase over visitation in 2015 (20.5 million). More than half of visitors (57 percent) took a day trip, while 43 percent stayed overnight. These visitors spent $2.252 billion, which equates to $71 per second being infused into the Pikes Peak region’s economy. That’s 14 percent higher than 2015. 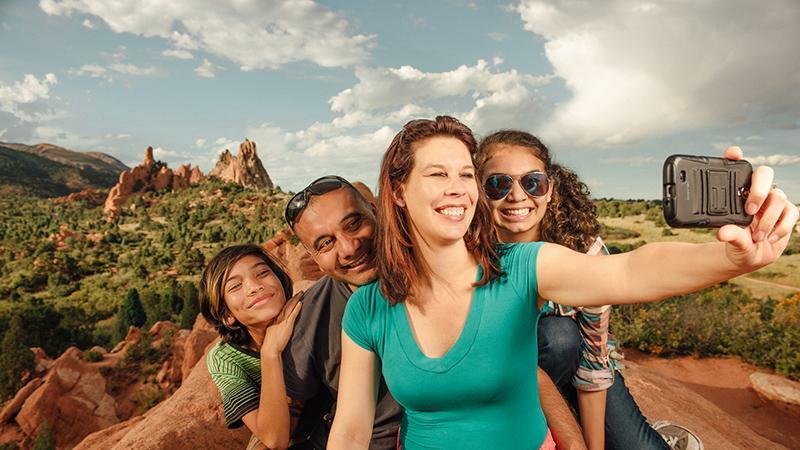 In past years, “visiting friends and relatives” has been the top reason for travelers who come to Colorado Springs. In 2016, this was the second reason for visitation (42 percent), with the number one reason reported as a “marketable” trip (50 percent), meaning the visitor did not have an obligation to visit a destination but chose where they wanted to go. “A strong economy and better airport service, combined with effective marketing campaigns and group sales efforts, continue our destination’s growth trajectory. The business of tourism often referred to as an invisible industry creates over 17,000 jobs and saves each family of four more than $835 in additional annual taxes that would otherwise have to be paid to maintain infrastructure. We’re seeing proven results from our limited budget, but continue to collaborate, assess and consider ways to increase current funding to match our competitors and extend the positive impact on our community,” said Doug Price, CVB President & CEO. Overnight travel to Colorado Springs has risen 32 percent since 2012, compared to a national growth rate of 9 percent. For overnight trips, the top state markets for visitors continue to be Colorado, California, Texas, Kansas, New York, Florida, Arizona, New Mexico, Missouri and Illinois. The average length of a trip for people who came to Colorado Springs is 4.5 nights compared to the average U.S. trip of 3.7 nights. The size of the travel party increased to 3.2 in 2016 compared to 3.0 in 2015. Almost three-quarters of overnight visitors used a smart phone for travel/activity planning purposes during their trip. 89 percent of visitors arrive in a vehicle (owned or rented). The most popular activities continue to be: shopping, visiting a state park, hiking, visiting a landmark/historic site, fine dining and visiting museums. About 10 percent of rooms sold were for business travelers, mirroring national statistics. These travelers commonly spend more on lodging, meeting space and associated items than leisure travelers and are an important market for larger hotels. Through June of 2017, the Lodgers and Automobile Rental Tax collected by the City is up 19.01 percent.